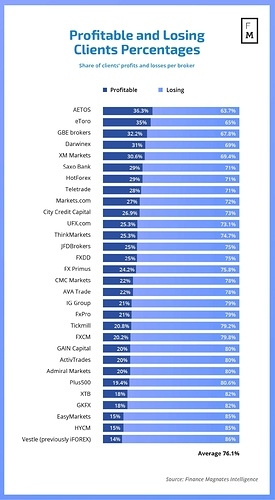 It’s important to note that all these percentages apply ONLY to CFD trading. None of the brokers have shared the win/loss percentages for real stocks trading. Another thing I’d like to see is the percentages without the inhouse trading accounts. 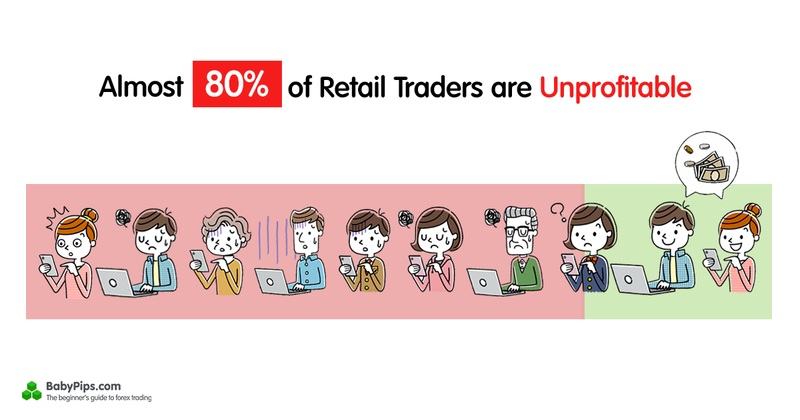 Recent data disclosed by trading platforms show that, on average, out of every 10 retail traders, only 2-3 succeed. 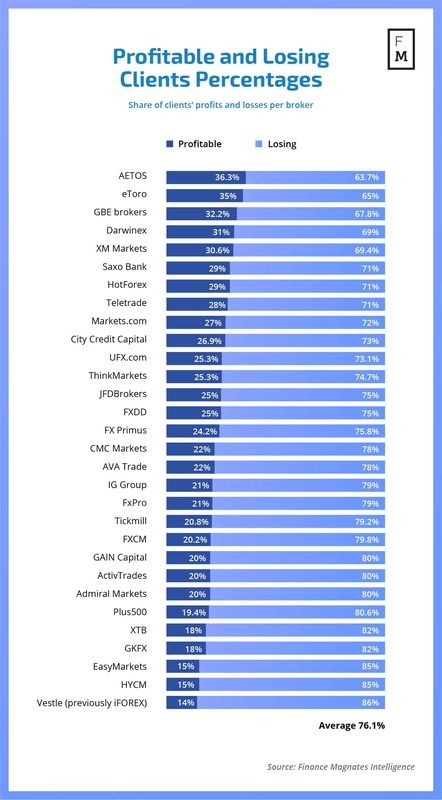 It’s important to note that these percentages are related to CFD trading only… They do not include stocks, ETFs and all other asset classes that are not CFDs… so, yeah. In essence - they tell us nothing.